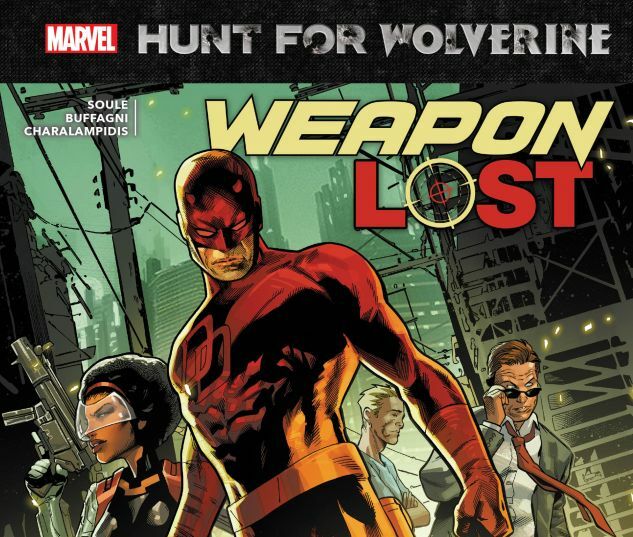 Collects Hunt for Wolverine #1 and Hunt for Wolverine: Weapon Lost #1-4. Where’s Wolverine? That’s what Daredevil wants to know! Logan may be the best there is at what he does — but so is the Man Without Fear! 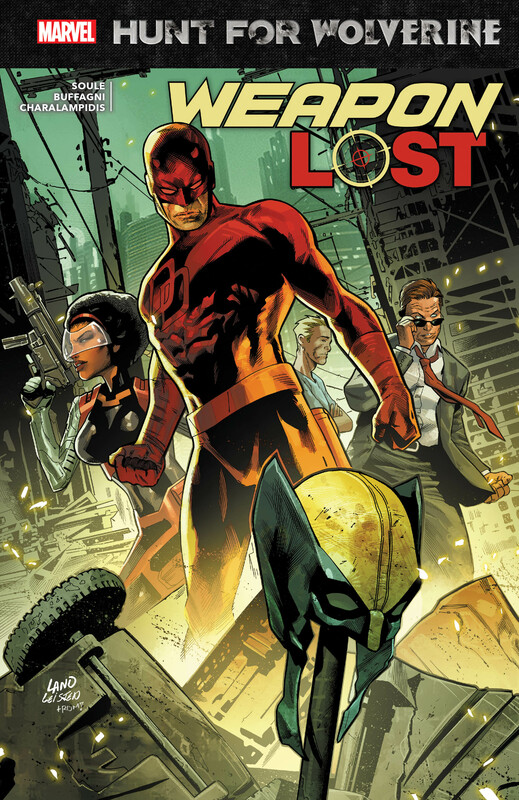 And as one of the biggest mysteries in the Marvel Universe unfolds, DD assembles a squad of uncanny detectives to track down Logan: Misty Knight, the Inhuman Frank McGee and the mutant known as Cypher! Investigating recent sightings across the globe of the X-Man they thought dead, the squad uncovers a deep conspiracy with huge ramifications for Wolverine’s return! But what happens when they follow the clues all the way to a very familiar — and very bloody — set of claws? 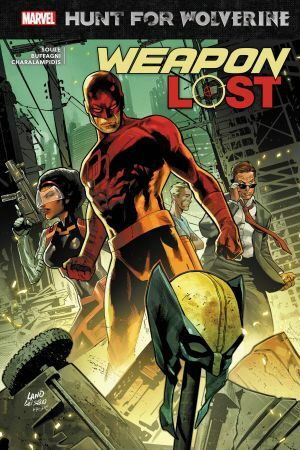 A weapon lost is about to be found — and the Man Without Fear’s nickname will be put to the test!